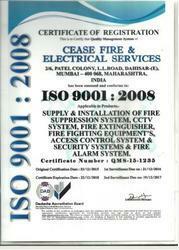 Services of Fire Safety Equipment. 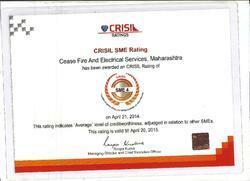 Established in the year 1992, we “Cease Fire & Electrical Services,” are engaged in manufacturing and exporting of fire alarm, fire protection, electronics security, surveillance & automation systems. 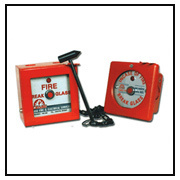 In our range, we offer conventional fire alarm control panels, analog fire alarm system, fire alarm hooter, commercial fire sprinklers, water fire extinguishers, water co2 fire extinguisher, abc dry powder fire extinguisher, mechanical foam fire extinguisher, cctv surveillance systems, video surveillance systems, responce indicators, wireless smoke detector and sign board to name a few. 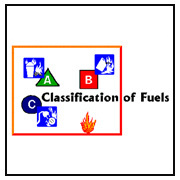 All our products comply with quality standards of NFPA, Fire Bridge, BS, DOT, MMD, ERTL & ISI. This makes them highly demanded in both large and sall establishments including hotels. Some of the prestigious establishments we have supplied to include reputed hotels such as Oberoi, Hotel Ambassador and government organizations like CPWD,PWD,MTNL to name a few. Apart from this, we are also engaged in offering complete turkey project solutions including designing, installation, testing, commissioning, & maintenance of electronic security and safety systems. Ever since our inception, we are consistently working towards designing and manufacturing security products of impeccable quality by adopting and adhering to the principle of uniformity in the business protocol. Led under the able guidance of our mentor Mr. Anant Bedarkar, who has extensive industry experience and knowledge, today we have been successful in establishing a strong foothold for ourselves in this domain. After Sales Service during warranty period as well as entering into Annual Maintenance Contract after warranty.